Thu., March 3, 2016, 6:15 p.m.
After strong finishes in the Northwest Athletic Conference, the men’s and women’s teams at the Community Colleges of Spokane will host first-round postseason basketball games on Saturday. The Sasquatch women will host Skagit Valley at 2 p.m. at Spokane Falls Community College. 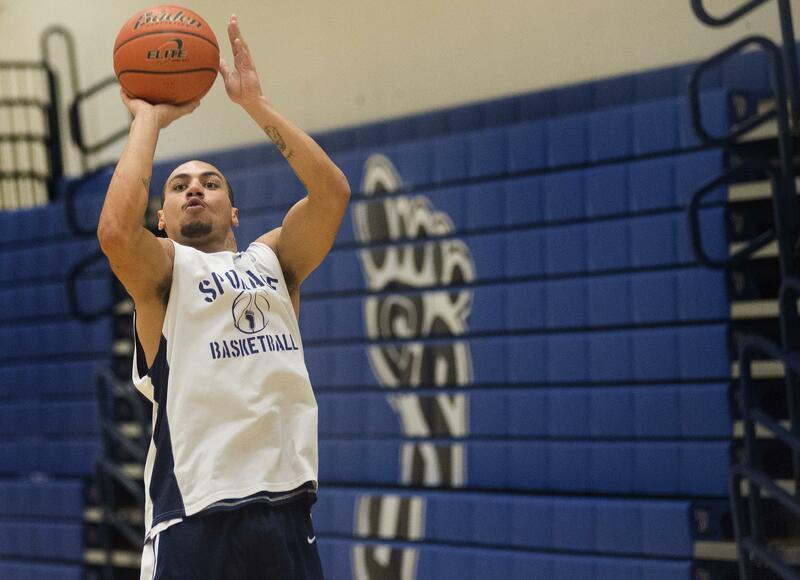 The men will host South Puget Sound at 6 p.m. at Spokane Community College. The CCS men finished 25-5 overall and 11-3 in the NWAC, good for second place in the East Region behind Big Bend Community College. The Sasquatch rank second in the 33-team conference, which includes two-year schools in Washington and Oregon. They’re led by East Region first-team all-stars Jake Love, a West Valley product who averages 17.4 points a game, and former Lewis and Clark star Levi Taylor (18.2 ppg). Taylor has made 15 of his last 27 3-point attempts. Dalton Patchen, from Colton, was a second-team pick after averaging 7.5 rebounds a game, and Kage Sobotta (Clarkston) made the all-defensive team. The Sasquatch are averaging a league-high 98 points a game but have lost their last two games. The winner of Saturday’s game advances to the quarterfinals on March 11-13 in Everett. The CCS women are 23-6 overall and 12-2 in the East Region, which earned them a first-place tie with Wenatchee Valley College. The Sasquatch, ranked fourth in the NWAC, are led by East Region MVP Brianna King, a former North Central star who averages 16.1 points and 2.2 steals. King also was the East Region freshman of the year. Teammates Gese Gruber and Khadija Neumeyer were second-team selections. Neumeyer also made the all-defensive team, while Bruce Johnson was regional coach of the year. The Sasquatch have won 12 straight and are holding teams to a conference-low 56.8 points a game. The winner will advance to the quarterfinals in Everett on March 10-13. Published: March 3, 2016, 6:15 p.m.